Computer-driven clock-system hours, the operating hours of your company's computers showed the time to show. The HQS-Y digital clock systems Time display serve as schools, institutions have led, logistics centers and factories etc.. If necessary, controls may have recourse, eg. ring, signal, or other devices operation. 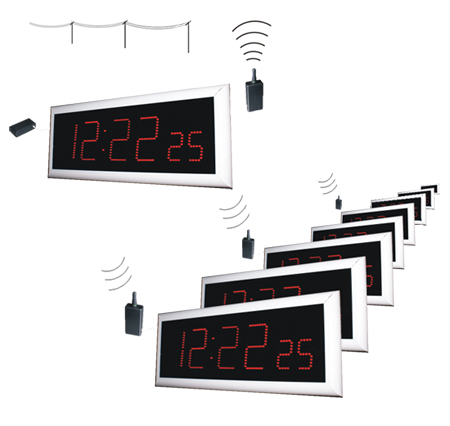 The clock system a central HQS-Y01 digital hours and more (unlimited number) or HQS HQS-Y02-Y03 hours made together.